PETG is a flexible, clear and impact resistant plastic, which makes it useful in projects requiring a robust material. 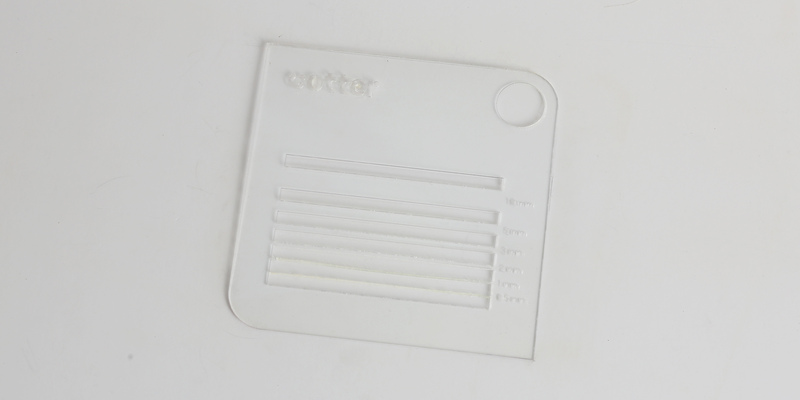 PETG is particularly suitable for stencils. 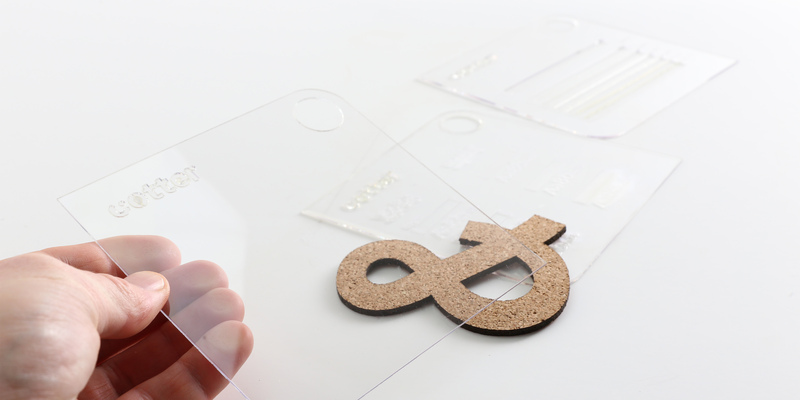 The material has a glossy surface on both front and back sides. The material is often used for making models, prototypes, signage etc. 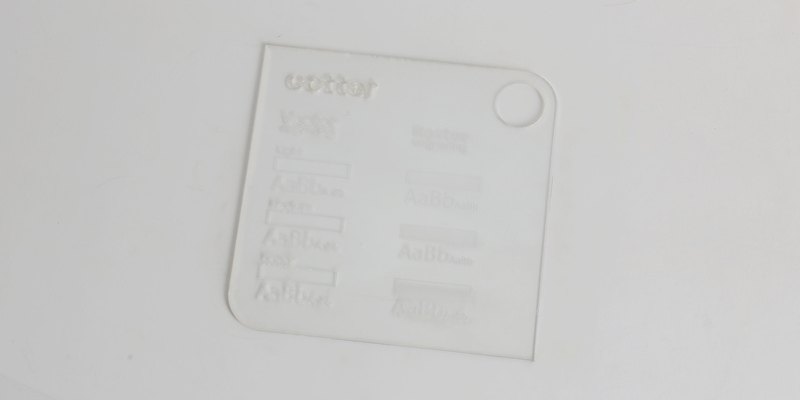 PETG can be both vector and raster engraved. However, it is recommended to be used only in purposes such as marking and identifying items. We recommend light – medium etching as heat combined with powerful engraving can make PETG melt. 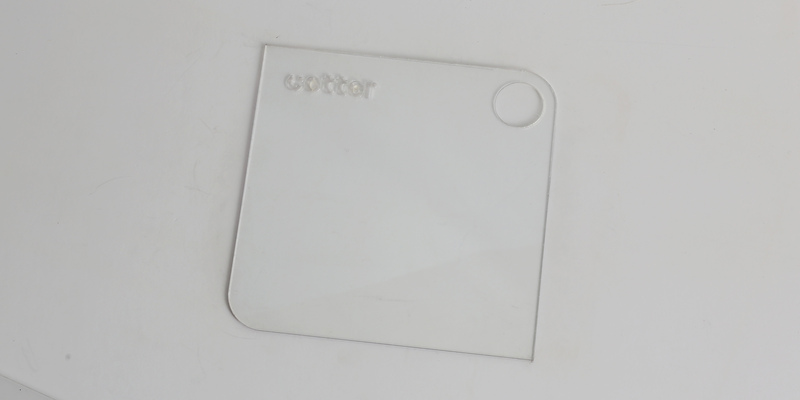 The etched area has a slightly glossy finish. 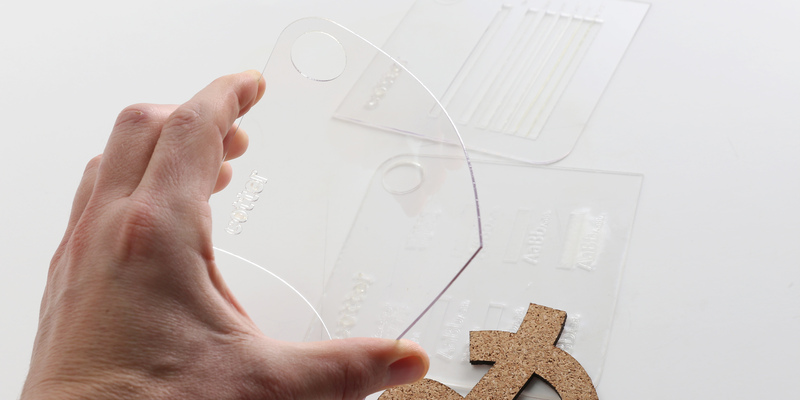 Top – as standard delivery, PETG has protective film on the top. No burn marks along the score line. Edges – the edges appear clean and without visible tracks. 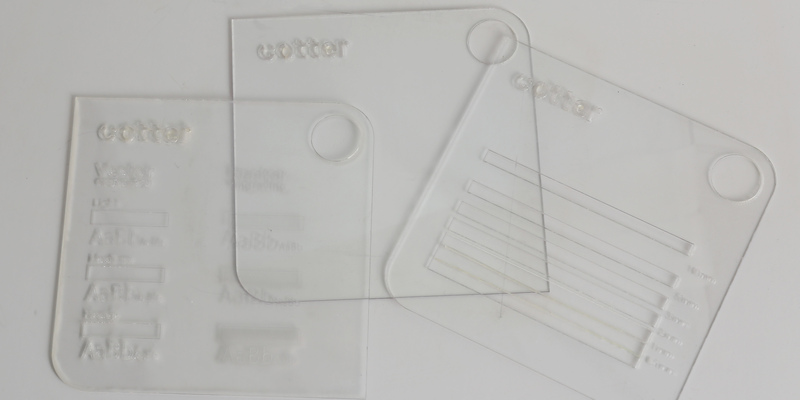 Bottom – as standard delivery, PETG has protective film on the back side. No burn marks along the score line, although some smoke may get underneath the film.